Saturday and Sunday, September 14th & 15th, 2013 at the historic Ebenezer Baptist Church and the Martin Luther King International Chapel at Morehouse College in Atlanta, GA.
FOUR LITTLE GIRLS: Birmingham 1963, a free, staged reading of the play will be held on September 15, 2013, at 6 p.m. at the Martin Luther King International Chapel at Morehouse College in Atlanta, GA. Written by playwright Christina Ham and directed by Mr. Afemo and Elisabeth Omilami, the reading commemorates the precise 50th anniversary of the bombing that took the lives of four young girls at the Sixteenth Street Baptist Church in Birmingham Alabama. Following the reading, there will be a post-performance panel discussion. This reading is part of Project1Voice’s nation-wide, simultaneous event of staged readings commemorating this seminal event in American history which helped to galvanize the American civil rights movement only weeks after the historic March on Washington where Martin Luther King delivered his famous “I Have a Dream Speech.” The readings will feature multi–generational casts of national and local theater, television, and film actors. Every child imagines what they want to be when they grow up. The four little girls who attended the 16th Street Baptist Church were no exception. Four Little Girls: Birmingham 1963 centers on Addie Mae Collins, Denise McNair, Carole Robertson and Cynthia Wesley, four little girls who are multi-talented and bursting with promise and who share their hopes and dreams against the backdrop of the civil rights movement. While Denise dreams of becoming a doctor, Carole looks forward to the dress she will one day wear at the cotillion, Cynthia imagines her life as a mathematics professor at the local university, and Addie Mae envisions a life as a professional baseball player. The realities of the segregated political climate that will put a stop to these dreams swirl around them and eventually culminate in the fateful events of September 15, 1963. This play examines what it is like to be a child in the most extreme circumstances. The play was commissioned and originally produced by SteppingStone Theatre. Christina Ham's plays have been developed both nationally and internationally with the Center Theater Group, The Goodman Theater, The Guthrie Theater, Ensemble Studio Theatre, Penumbra Theatre, Summer Play Festival/Theatre Row, SteppingStone Theatre, and the Tokyo International Arts Festival, among others. She is a two-time recipient of the McKnight Advancement Grant and a Jerome Fellowship from the Playwrights' Center in Minneapolis, a Jerome Emerging Artist Residency at Tofte Lake Center, the Marianne Murphy Women & Philanthropy Award in Playwriting, and a MacDowell Colony Residency. Her feature-length screenplay, Booker, was a finalist for Tribeca Film Institute's All Access program. Afemo Omliami is the Chief Operations Officer of Hosea Feed The Hungry and Homeless. He hasbeen married to Elizabeth Omilami for 35 years. Omilami is an advocate for the homeless and less fortunate, and coordinates the organization’s outreach efforts that services more than 20,000 people a year. He is an accomplished actor who has appeared in several popular films including Glory (1989), The Firm (1993), Gordy (1995), Remember the Titans (2000), Hounddog (2007), and The Blind Side (2010). He is perhaps best known for his role as the Drill Sergeant in Forrest Gump (1994). He was recently nominated for a 2013 NAACP Image Awards in the "Best Actor in a Television Movie, Mini-Series or Dramatic Special" for his performance in Lifetime's Steel Magnolias. 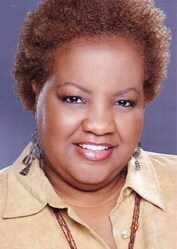 Elisabeth Omilami is the President and Chief Executive Officer of Hosea Feed The Hungry and Homeless. She is a human rights activist and an actress, a writer and a Pastor, as well as one of the most recognizable advocates for the less fortunate and homeless. Her father, Hosea Williams, was one of the country’s most prominent civil rights leaders, local and state lawmaker. Omilami’s young life was spent within the confines of the Civil Rights movements of the 1950s, 1960s and 1970s. 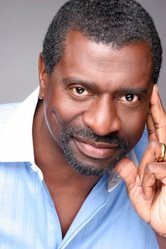 Project1Voice is a not-for-profit performing arts service organization founded by New York-based actor/producer Erich McMillan-McCall to nurture, promote, strengthen, and preserve the legacy and tradition of African American theater and playwrights. Established in response to the severe economic downturn of 2008 that had a profoundly devastating impact upon African American theaters across the country, Project1Voice focuses on providing solutions for sustainability and long term institutional growth with programs that educate, enlighten, and entertain. Project1Voice strives to preserve the legacy of African American theater and cultivate future generations of artists and arts patrons. For more information about Project1Voice visit www.project1voice.org. Please visit www.facebook.com/Project1VOICE and follow @P1VOICE Twitter for news, updates and more.